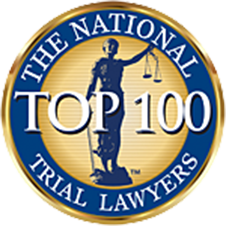 My Family could not be happier with the professional and personal service provided by North SHore Injury Lawyer Mark T. Freeley. Mr. Freeley is a highly skilled, friendly and caring professional who always took the time to answer phone calls, emails and questions. All of my various inquiries were answered and explained in fine detail in a way that I fully understood. My case was handled expeditiously with a fantastic outcome. I would highly recommend North Shore Injury Lawyer Mark T. Freeley to anyone seeking legal counsel. My experience with Mark as my attorney was phenomenal!! He came to my job to have a one-on-one meeting to discuss and explain what I could expect going forward. Throughout the entire process he was professional and courteous updating me with emails and phone calls. Mark made it clear my health and recovery was paramount as the case progressed. I highly recommend his services and would use him in the future. Mark has been so supportive and very helpful throughout the whole process. He is very thorough and patient and explains everything in great detail so it is understood. He fights for his client and doesn't back down. For someone to go through something so tough and tragic, he is definitely someone you want by your side throughout the process. Mark is not only an amazing lawyer but also an amazing person!! He handles everything you ask him to with such professionalism and genuine care that you just do not find anywhere else! I fully trust in his knowledge and if he came to me with an opinion on a certain way to handle a situation, I would wholeheartedly trust him because I know he is giving the best and most honest advice! For anyone looking for a lawyer, I cannot speak highly enough about Mark and definitely recommend you give him a call! Mark Freeley is the most incredible attorney I have ever worked with. He is honest, reliable, upfront and clear about any and all matters. HIGHLY recommended for any and all services, such a great man and an even better attorney! Mark is a dedicated attorney who devotes much time to volunteering with LCAR adoption efforts. His commitment to community is much to be commended and is a testament to his character. If we ever require personal injury representation, he is exactly who I would ask to represent us. I met Mark a couple of years ago volunteering together for an animal rescue. Mark is a man of integrity and honesty. He is not only passionate about volunteering, his family, and giving back to his community, but he's also very passionate about the law and helping the underdog. I also work for a law firm that has worked with Mark's firm, so I know for a fact how hard Mark will fight for your rights and with a passion and honesty you don't always see in a person. I am very proud to call Mark a friend. Mark is an amazing man with a huge heart and compassion for his profession and for animals. He acts as a pro bono attorney for Last Chance Animal Rescue and is always very helpful in all matters. He goes above and beyond to help his clients as well as rescue animals. Mark is a great man, with outstanding values, and heart of gold. We hired Mark for a personal injury case involving a pedestrian being struck. Mark was very personable, attentive, and accommodating in the early stages of the case when we were just recovering from the accident. Mark stayed in constant communication, providing updates and always responding within a timely fashion when we had questions all throughout the 3 year duration of the case. We always felt that Mark gave our case his full attention and could find the correct documents in our case file regardless of how many boxes the files took up. Would definitely recommend without hesitation! Mark is a very compassionate and caring person. He is a family man with a lovely family. I have had the honor of volunteering with him at adoption events for Last Chance Animal Rescue. He always has others’ best interest in mind and is always jumping in to help, as though there was nothing too big or too small for him to take care of. These are all traits that are vital when you require legal representation. I know that if I was in a situation that required a personal injury lawyer, he is the only one I would contact. I know Mark Freeley from Last Chance Animal Rescue, where he donates his time and money to saving animals that would be killed in kill shelters. He also does all the legal matters Pro Bono for this organization. He is very honest, loyal, trustworthy and compassionate. He is a family man whose daughter and wife also volunteers with him. I would not hesitate to use him as my lawyer if the need arises. Mark is an exceptional lawyer. He is loyal, professional, caring and extremely attentive. He goes above and beyond for his clients and his willingness to do whatever he can to help is appreciated and unparalleled. I would highly recommend Mark to anyone. The people at this firm actually care. Mark was amazing; he took my situation, worked through it and gave me the reassurance that it would all work out. He was so patient with my constant emails and calls. I couldn't have asked for a better group or a better outcome! Highly recommend!! Mark Freeley—you broke the mold. Such a kind, honest and compassionate person that backs up what they say. I have never seen someone work so hard for their clients. The best for sure! Mark Freeley is truly a man of integrity, patience, knowledge and professionalism. I had the pleasure of working with him recently on an accident case that he handled for me. He was available to me during the entire process whenever I needed him. He clearly informed me on all issues pertaining to my case, which is very reassuring during this process. Working with him and his wonderful staff was a pleasure, which ultimately led to a happy conclusion. Thank You Mark. Mark Freeley is an incredible injury attorney and a tremendous person. After my horrible accident, I had the privilege of meeting Mark and made the best decision possible in choosing him for representation. He is extremely knowledgable in all areas and is the consummate professional. He was so very helpful, compassionate, and caring. He was top notch from the very beginning to the completion of my case, and to this very day. He treated me as a top priority and was with me every step of the way throughout the entire process with his care, advice, honesty, and dedication. Mark is all about getting the best results for his clients in every way. He was constantly accessible, in constant communication, has outstanding values, and was a true please to have represent me. I highly recommend Mark to anyone looking for an injury attorney. He is truly great at what he does and is an even better person. Mark is the best choice to make for personal injury representation. I've worked with Mark for 15 years. He is a meticulous, intelligent and caring person and lawyer. He devotes a huge amount of time to animal rescue. He also devotes a huge amount of time to his clients. He pays attention to details. He responds to his clients. He prepares every case for optimal results and he goes to court prepared. He is well known and respected by opposing counsel and insurance carriers. He gets the job done. He is patient and listens to clients' concerns. A real person who happens to be a great lawyer. You couldn't ask for better representation, he puts his all into everything he does from family, community and volunteering. Support local business... even for your professionals, check reviews and comments! Thank you for all you've done for me the past two years. I'll never forget your support and kindness. I just want to thank you again for all the work you did and for everything you have done for me and my case. Everything you have done for me means so much and I'm so happy to put this accident behind me and continue to move forward with a positive attitude. You were such an incredible help to me and I'll never forget the work you did. I can't thank you enough and I'm beyond happy I found you. Being a physician, I know quite a number of professional people, because I rub elbows with these people everyday. I can honestly tell you that Mark not only is one of the sharpest people that I've ever come across, but he genuinely cares about other people and their well being. Not only can he provide legal help with the expertise that is amongst the best, he does it in a way that makes you feel that you really matter. He is always listening to you and he has a smooth, easy going and outgoing personality. If you have been around the man and see how he interacts with his family, friends, and community, it should come as no surprise why I give him my strongest endorsement. I can't thank you enough for taking care of everything for me and for being there to support me. You were always there for me the past 2 years, you were there whether it be from e-mail or telephone. You kept me informed, always assured me that things were moving along, even when I called you back a second time after we spoke for more assurance. You explained everything to me very thoroughly and I had my total confidence in you. I am so glad that my case is settled and over with, and I don't think any other attorney would show so much compassion as you did. 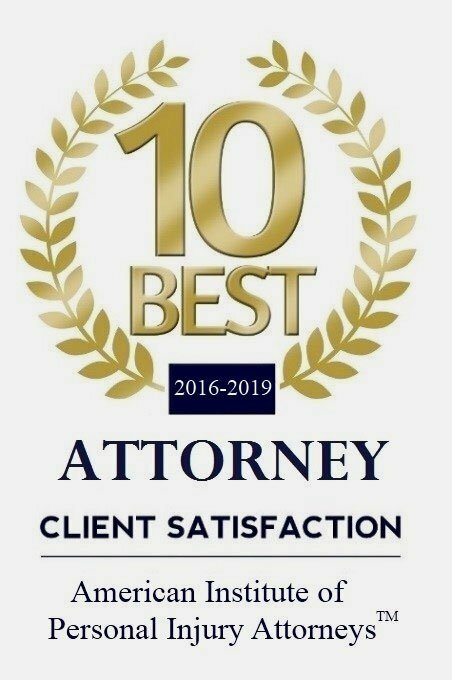 I have had the pleasure of working with Mark Freeley for the last four and a half years and have found him to be the most honest and straight forward attorney I have ever known. I have been a paralegal for over 20 years and have worked with many attorneys. I have the utmost respect for Mark Freeley for his dedication to his work and his clients. He's extremely thorough and intelligent and works very hard for each and every client. I can honestly say Mark never overlooks or misses anything when he's working on a case. His results are outstanding and I would highly recommend him to anyone who is in need of a personal injury attorney. I have known Mark for over eight years and I know how committed he is to his work, community and most of all, his family. As an accountant I work with many attorneys and I am always impressed with Mark's attention to detail, quality of work and overall integrity. Someone in need of a personal injury attorney would greatly benefit having Mark as their attorney. I have had the pleasure of working with Mark Freeley, for the past 12 years. Not only have I been his assistant for the past 12 years, but I was also his client. He is the most THOROUGH AND KNOWLEDGEABLE attorney you can ever ask for. He will follow your case from START TO FINISH, and fight to get his clients well compensated. His knowledge in personal injuries is outstanding and you will be very happy with his service. I would highly recommend him to anyone who is in need of a personal injury attorney. I have had the honor of knowing Mark for over 10 years interacting with him on both a personal level and a professional level. I would unequivocally recommend Mark as he is truly an exceptional attorney. As a business owner the characteristic that I admire most about Mark is his integrity; he consistently puts his clients first, something that in today's society often gets overlooked. I have known Mark for several years now and consider him one of the most genuine and compassionate people I know. His selfless support and genuine guidance has helped me make important decisions in my own life. Mark is an intelligent and passionate individual who gives 100% of himself to EVERYTHING he does. If the unwavering dedication and commitment he provides to his own family and friends is any indication of what type of professional he is, I would wholeheartedly recommend him to anyone in need of a personal injury attorney. I have had the pleasure of knowing Mark for quite some time now on a personal level. I find Mark to be an intelligent and honest attorney. Anytime, I have a legal related question, he does not hesitate to help me. Mark is a family and community man, I enjoy reading his articles and blogs in the local media. I find them not only educational, but relevant to current issues and interesting. I have recommended Mark to several people who have been impressed with his extensive knowledge in this field and I would not hesitate to continue to recommend him. I have gotten to know Mark over the past ten years, he is trustworthy, knowledgeable, and well respected in the community. I value the friendship that we have developed and appreciate all of the advice that he has shared over the years. I have referred clients to Mark and they have always been thrilled with my recommendation. He is a fine attorney always giving 110%! I've been friends with Mark for years now and I can tell you he is one of the most honest people I know. Never an exaggeration or sugar coating, he tells it like it is. He has given me priceless advice on insurance policies, automobile safety, and my legal rights in many situations that have come about in day to day life. I look forward to his next blog! Mark Freeley is dedicated 100% to whatever he is involved in. Whether it be his profession, his community, his family or his friends, Mark is personable, professional, reliable and dependable. He can always be counted on. He performs the necessary due diligence on every topic and is always prepared to discuss details when necessary. I wouldn't hesitate to recommend Mark to anyone in need of his services. I have known Mark T. Freeley, Esq. for over ten years. Not only is he a warm and caring family man, but he is a highly respected personal injury attorney. He is an expert in his field, and is constantly researching all of the changes in law to better serve his clients. He also possesses the rare qualities of honesty and integrity. I highly recommend him as a personal injury attorney. I have known Mark Freeley for the last 14 years. He is a very intelligent and well organized attorney. I am lucky to have him as a colleague as well as my attorney. He has been working as a Managing Attorney for a prestigious law firm. I have seen him giving his hundred percent to all the cases he handles. He has a positive attitude and is very informative. Mark Freeley is both a friendly and knowledgeable lawyer whose professional yet approachable working style is one I would recommend time and time again. I love reading his blog and I often use the helpful family safety tips on the blog. We have been acquainted with Mark since we moved to Long Island nine years ago. He has always been a source of sound advice as well as a wealth of information. He has commitment and passion for his work, as well as the community he lives in. We would highly recommend Mark as an attorney. Mark is a competent and caring lawyer. Because he is a parent of school age children, he is concerned about their safety and has written extensively about the safety of car seats, wire glass in school doors and other issues of concern to the community. I highly recommend him not only because he is a great lawyer, but also because he cares.